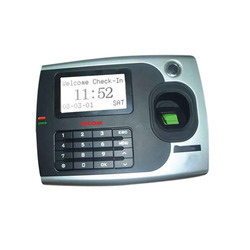 Offering you a complete choice of products which include proximity card reader access control system, biometric reader access control system, proximity card time attendance system, fingerprint access control system and bio proximity time attendance system. Backed by a rich industrial experience, we are engaged in offering a commendable array of Proximity Card Reader Access Control System. 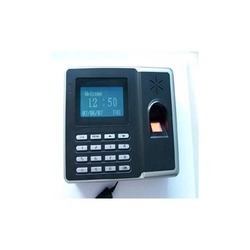 The Biometric Reader Access Control System is a professional fingerprint access and time attendance control system. It uses fingerprint instead of card system for access. This can be widely used in confidential places for its easy installation and high security. 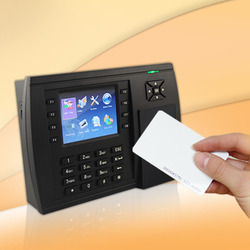 Proximity Card Time Attendance System is widely used in office, factory, bank, etc. Supporting Master and Slave solution it provides more confidential access control system, 50 kinds of time zone settings and 5 open door groups ensure you an absolute safety environment. The Fingerprint Access Control System not only permits entry, it also tracks and records data of Visitors and Employees through its Access Software.